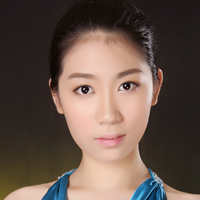 Born in Shenzhen, China, Wei Luo began piano lessons at age five and gave her debut recital in Hong Kong at age six. Winner of numerous competitions in China, Wei also claimed first prize in the 11th Chopin International Competition for Young Pianists in Poland and the 2nd Rachmaninoff International Piano Competition for Young Pianists in Frankfurt, both in 2010. She made her orchestra debut with the Shanghai Philharmonic in 2010 with conductor Muhai Tang, performing Prokofiev’s Concerto No. 3. This season Wei makes her recital debuts at Sonoma State University, as well as Herbst Hall presented by San Francisco Performances. She performs at Festival Napa Valley and continues her love of chamber music at the Santa Fe Chamber Music Festival. Concerto performances include the Kansas City Symphony playing Prokofiev’s Concerto No. 3 and the Denver Philharmonic playing Mendelssohn’s Concerto in G Minor. Exploring a depth of core repertoire, Wei has already performed major concertos by Rachmaninoff, Beethoven, and Prokofiev and the recital repertoire of Bach, Schumann, Mussorgsky, Chopin, Ravel, and Haydn. She has participated in master classes with Leon Fleisher, Richard Goode, Seymour Lipkin, Abbey Simon, and Nelita True. In 2007 Wei Luo entered the Shenzhen Arts School, studying with Kang Yongze. She went on to study at the elementary and middle schools of the Shanghai Conservatory of Music with Tang Zhe. In 2012 she was accepted to the prestigious Curtis Institute of Music, where she currently studies with Gary Graffman and Robert McDonald. She was honored to be the artist selected to perform in the Dean’s Honors recital at Curtis in 2014.